For Joe Biden, VP is as good as it gets. And he’s fortunate to have been VP under Barack Obama, just not for the reasons the Left thinks. 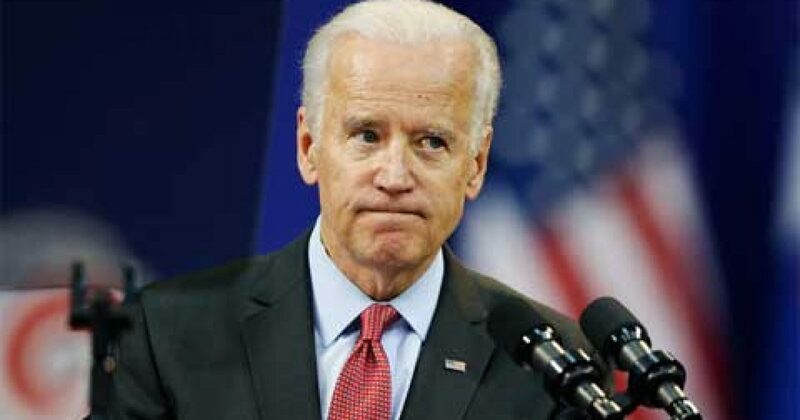 Under a white president, Biden would be looked at as a complete failure. However, because Barack Obama gets to play the Affirmative Action card, Biden is granted immunity from criticism. This is why I predict that Biden will not run for president. Because another failed candidacy would not look good for his legacy as the Affirmative Action veep. But there are two additional reasons. First, Biden doesn’t want the pay cut. And second, Biden gets treated better as a private citizen, than he did as a VP under Obama. For his appearance at the Broward Center last month, Joe Biden wasn’t simply a former vice president and possible 2020 presidential candidate. He was an artist, similar in many ways to many other entertainers. That means everything about the appearance — not just the fee — was spelled out in a detailed contract: the program, the dressing room, the food, the time for each segment of the performance. Biden’s meal was spelled out in the documents: angel hair pomodoro, Caprese salad and raspberry sorbet with biscotti. Dressing rooms for Biden and his staff were to be stocked with bottled water, Coke Zero, regular Coke, orange Gatorade and black coffee. Snacks were mixed nuts and A fruit plate. The contract shows shows he got a $150,000 fee for the event. The fee included his participation in a VIP “meet & greet” including a photo op receiving line for up to 125 VIPs. “No signage or logos” from sponsors could be visible in any of the pictures. I can’t imagine why people want to hear Biden, but to each his own. It spelled out a 45-minute moderated conversation and 30-minute Q&A. Biden was on stage at the Au-Rene Theater for about 90 minutes to speak and answer questions, longer than the contract required. The audience for the Jan. 28 event was about 2,000 people, with tickets running from $50 to $150. VIP tickets, which included premium seats and the chance to meet Biden before the show, were priced at $300. Not a bad haul for 45 minutes work. Biden official enters the Big League when it comes to speaking engagements. To put this in perspective, Creepy Joe Biden fills more seats than the Clintons. Remember their tour? If not, don’t feel bad because few do. And trust me, the Clintons would rather forget they ever embarked on their ill-fated tour. Biden however is riding high. Regardless, he must temper his euphoria with the understanding that he’s second fiddle to Trump. If he can keep his ego out of things, he might actually be able to bank some money over the next 6 years and eek out a living.